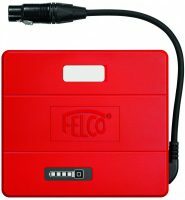 Li-Ion battery for the Felco 880 portable power pack. It can be used at the same time or sequentially. Charging capacity: Half a day to one day.